From the sidewalk south of the Capital, looking down the Mall. 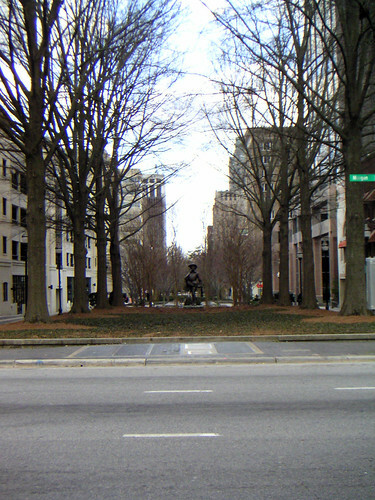 Every tree here will be cut down, the statue removed, and the sidewalk reduced to 30' on each side. edit: Sadly, just over a month later, they have done exactly what I feared. Here's the situation as of April 19.